Data Analytics in normal parlance can be defined as the process of examining data sets that are extracted and categorized to draw conclusions about the information they contain with the aid of specialized systems and software. Data analytics is also known as data analysis predominately refers to the assortment of applications from basic business intelligence reports (BI) reporting and online analytical processing (OLAP) to various forms of advanced analytics. Data Analytics helps organizations in harnessing their data to use it in identifying new opportunities and to make more informed business decisions and it is used by researchers and scientists to verify or disapprove scientific models, theories and hypothesis. Data Analytics is usually conducted in business to consumer or B2C applications where global companies collect and analyze data associated with their customers, business processes and market economics. Data analytics is finding usage across all industry sectors for reducing costs and boosting revenues with Chief Information Officers or CIOs of Multinational Companies or MNCs spending more than ever on technologies that support data analytics. The global revenues for data analytics and business analytics software has raised by more than $166 billion with an increase of 11.7% over 2017 according to market researcher IDC. Even small and medium sized business (SMB) enterprises can benefit from data analytics by investing in small-scale analytics and by laying focus on employing data technology analytics for enterprise decision making by optimal business data sets. These enterprises can benefit more by focusing on customer analytics. With better product marketing, personalized services and targeted offers, SMBs can gain significant cost to income advantage. The benefits that come with data analytic strategies have allowed companies to gain competitive advantage over their rivals generally by virtue of increased awareness that an organization can benefit from by using data analytics during their decision processes. Automation technologies such as Artificial Intelligence or AI and machine learning are now crucial to the next phase in advancing the value of data analytics from cloud-based applications. 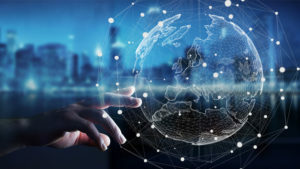 In conclusion, as technologies around the globe become more interoperable and synchronous – data analytics is the inner core that connects them together.